Rode VideoMic Unboxing 2016! //Cheers Marie! - live life and enjoy! Rode VideoMic Unboxing 2016! //Cheers Marie! This video shows the unboxing of the Rode VideoMic and how to install it on Canon 6d dslr. Please let me know if you like unboxing videos like this. I will do a review of the Rode as i use it in filming and vlogging. p.s. 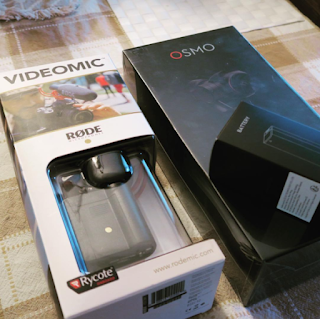 Next Unboxing will be the DJI OSMO camera!! <<< I'm super super excited for this!! !